In terms of height they are worlds apart. But these two men actually hail from the same region of Inner Mongolia. 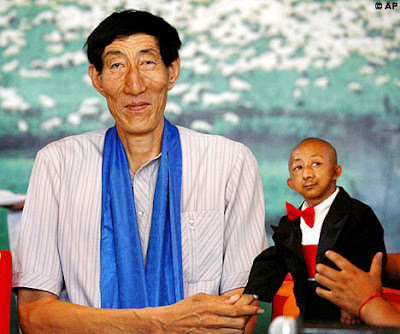 While Mr Xishun, 56, towers above everyone at an astonishing 7.9ft, 19-year-old Mr Pingping is a mere 2.4ft high.